The Greenlight blog shares the latest, original, forward-looking research by UC Davis on sustainable transportation, energy and climate-related challenges facing society. The blog highlights fact-based, data driven analysis and expert insights on the scientific, commercial, technological, environmental and societal issues related to the future of fuels, mobility and energy efficiency. Through this blog, workshops and publications, UC Davis seeks to inform and elevate public dialogue on government policy and business strategy. 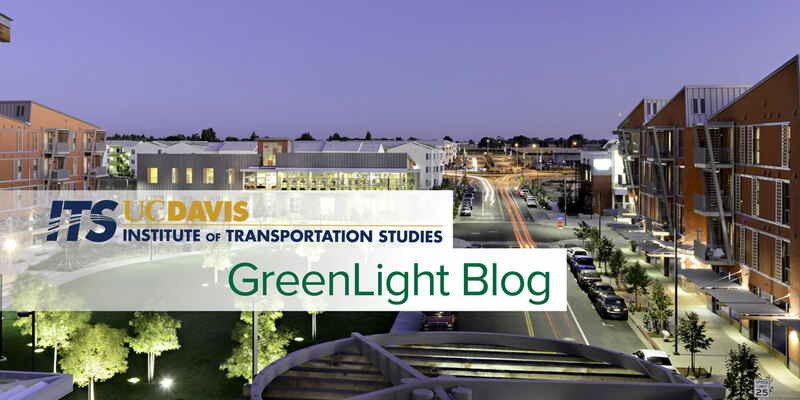 Welcome to GreenLight, blog of the UC Davis Institute of Transportation Studies, Energy Institute, Energy Efficiency Center, Policy Institute for Energy, Environment and the Economy—and affiliated centers and programs. Here you will find news on the latest research conducted by our affiliated faculty and research members, along with our graduate students. Our aim is to inform government and industry decision-making regarding vehicles, fuels, infrastructure, and mobility on key sustainable transportation and energy issues. Please explore, share, and comment on issues you find insightful or interesting. The photo above shows West Village, the zero net energy community which is home to many of our transportation and energy research centers and institutes. Ridehailing is a hot topic, and the subject of much commentary from prominent transportation experts. It is the focus of the recent book that I co-authored with Dan Sperling, Three Revolutions: Steering Automated, Shared, and Electric Vehicles to a Better Future. The transportation world is moving towards an electric future. More EVs are available than ever before. Leading global automakers are pledging to transition to cleaner electric fleets. Entire countries are planning to phase out fossil-fuel vehicles, thereby lowering harmful emissions that are detrimental to human health. Three transportation revolutions are in sight, and together, they could help reduce traffic, improve safety, improve livability, and eventually save trillions of dollars each year and reduce urban transportation carbon dioxide emissions by 80 percent or more worldwide by 2050. Our new report from the Sustainable Transportation Energy Pathways (STEPS) program of ITS-Davis, done in cooperation with the Institute for Transportation & Development Policy and released May 3rd, tells us how.